2 deaths, 10 serious injuries. 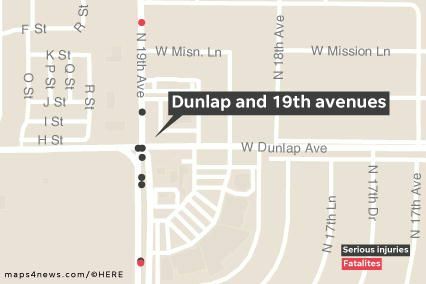 Both deaths occurred outside marked intersections. 40 mph speed limit, 5-6 travel lanes.